After reading our prior post about Mt. Baker (seen here), you realize it has a lot to offer. Awesome terrain, tons of snowboarding history and the epic snow. One thing to remember though is when it doesn’t snow its rains… so be prepared for a day off in Bellingham. Just outside the national forest where Mt. Baker ski area sits, stands a few quaint cabins hidden off the road. The only way to know is a random “cabin for rent” sign, which is barely visible. Depending on what you are looking for, this is a good option if you want to be in the wilderness away from everything. Local Freshies recommendation is to stay in Bellingham. The town will provide plenty to do after riding or on a rainy day. Here is the Bellingham scoop for some of our favorite places to check out when visiting. On a cold soggy evening with headlights reflecting off puddles and rain droplets glaring on the windshield, these conditions make it challenging to find. Now you see it. Lit up with yellow and red neon signs, this has to be it. Boomers…At the intersection where Maple St. turns into Samish Way, the building resembles a modern version of a Chinese Pagoda. 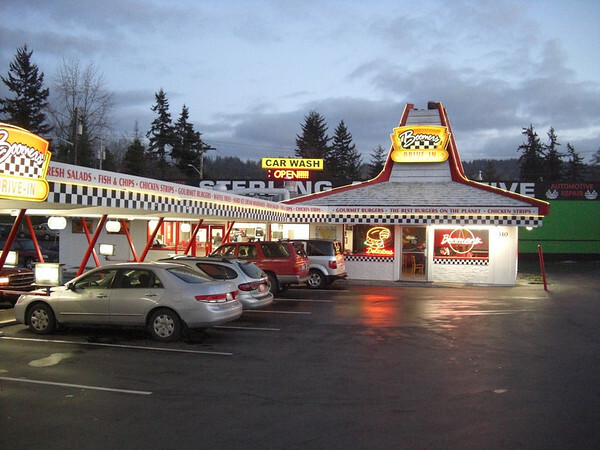 Attached to the building is a covered walkway, which helps the carhops get food from the restaurant to the car. Pull into a spot, a lighted menu on the driver’s side provides the list of choices. It’s a pleasant evening. Get situated and decide what you want. Ready…turn on the headlights. A carhop will come to take your order, just like old times. It’s all about nostalgia. For those chilly nights when it’s damp and dreary, head inside to the dining room. In the center of the octagonal dining room lies an original circular gas fireplace. The warmth keeps everyone comfy and smiling. Belly up t the counter…what to order? You can’t go wrong ordering a burger. They are fantastic. Two local favorites are the Guacamole Bacon burger and the Cajun Inferno burger. Yep, guacamole and bacon on the same burger! Like a little spice on your burger? Order the Cajun Inferno. It hits the spot. The combination of jalapeno slices, Cajun sauce, and pepper jack cheese provide the perfect kick to warm you after a cold. Add a side of the waffle fries and you have an excellent meal. These are some of the best waffle fries in the Pacific Northwest. 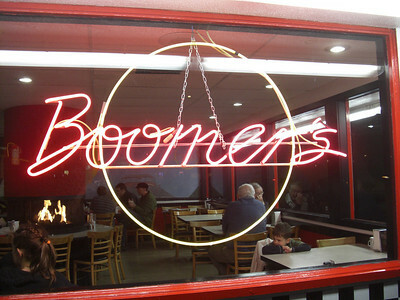 Of course a trip to Boomer’s would not be complete without trying one of their shakes. They are handmade using real premium ice-cream from the local Edaleen Dairy. There are a dozen flavors to choose from, which will ensure you can mix and match enough to remember those feeling of childhood. Check this place out when staying in Bellingham or just driving through. You can’t go wrong! Be sure to tell them Local Freshies says hello! With a French name like Lafeen images of a fancy pastry shop come to mind. Like the saying goes “don’t judge a book by its cover.” Lafeen’s is located in a small strip mall in a sleepy part of Bellingham. 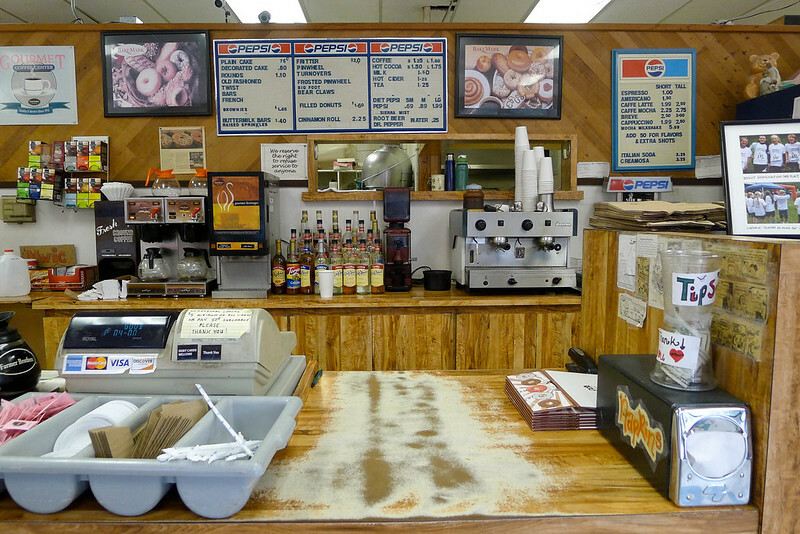 This is one of the best donut shops in the state. The storefront is very unassuming with a simple yellow worn sign that just reads “Lafeen’s Family Pride Donuts.” Most people would drive right past it unaware they’ve missed anything. As you step into the shop, the humble atmosphere continues with an 80’s Pepsi letter board providing the price of each of the items they make. The only hint of this treasure is the smell of freshly cooked donuts. As you order a buttermilk cruller and take the first bite you realize where their energy goes. It goes into the donuts. The love and pride can be seen in every bite. Selling over thirty different pastries and donuts from Maple Bars (for East coasters these are like Long John’s but maple flavored) to crullers and bear claws, this place has all the classics and done right! Lafeen’s is definitely a unique experience that everyone should go to at least once. Local Freshies tip: Be sure to go late in the evening to get freshly baked donuts. Yes, I said late in the evening which goes against any other donut shop you’ve ever been to. 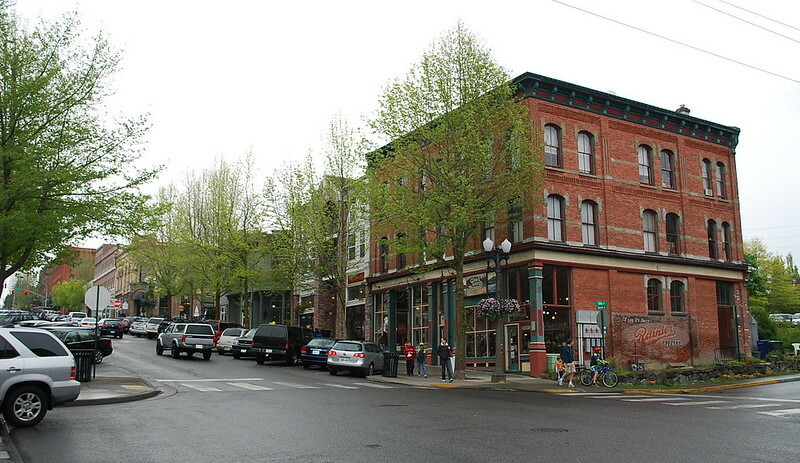 For such a small town, Bellingham has a lot to offer. From great records stores, to unique places to eat, and even a few breweries, Bellingham has it all. If you are looking for a unique experience that doesn’t fit the mold of a ski or snowboard trip then Mt Baker and Bellingham are a great combination!